If your harddisk temperature sensor's reading is higher than 2 years ago, then it means your case FAN might be dusty or even broken-down. 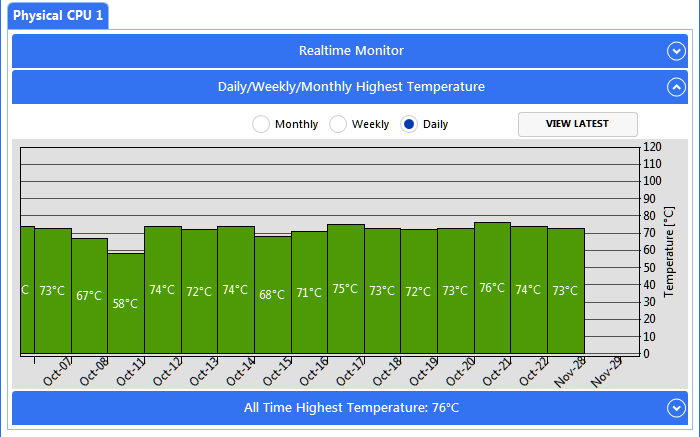 System Chronicle can help you detect this problem by saving up to 1800 days of temperature readings. 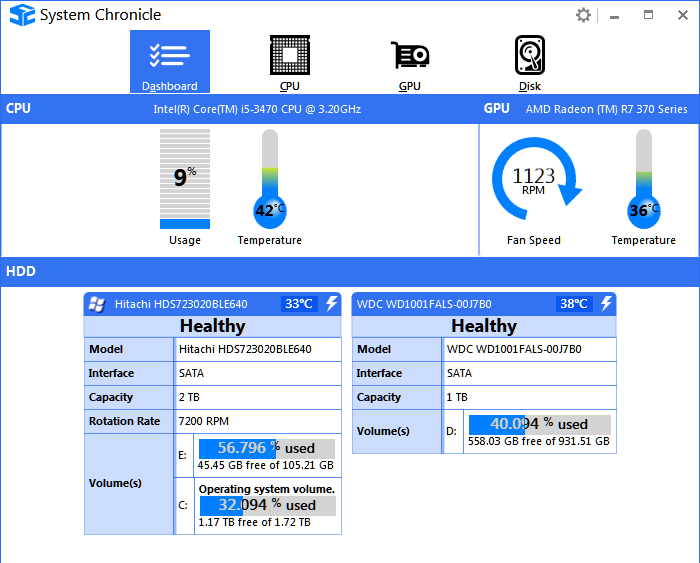 System Chronicle upload hardware sensor readings to the cloud (with your consent and configurable) for statistical analysis. When enough sensor reading for a specific model is collected, we can publish average power-on-hours for a hard-disk to have bad-sector count. Evaluate hardware performance. 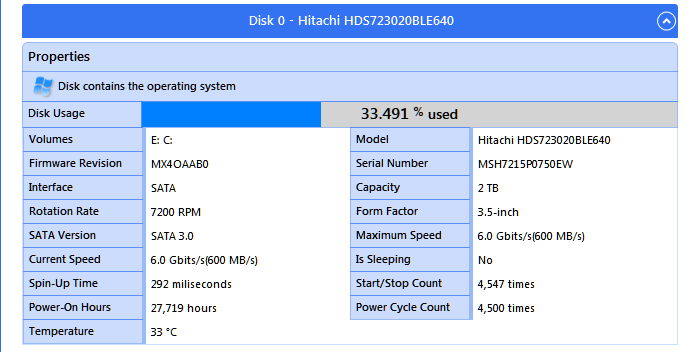 eg: Average time for a specific harddisk model to report bad sectors. Verify installed hardware’s health by comparing with its sensor data with others. 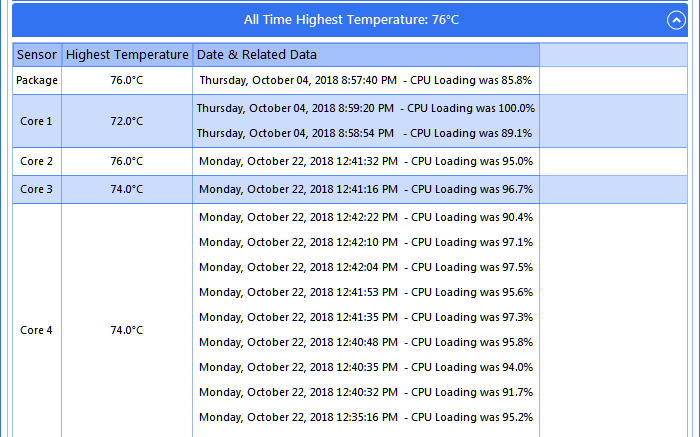 GPU temperature and fan speed. 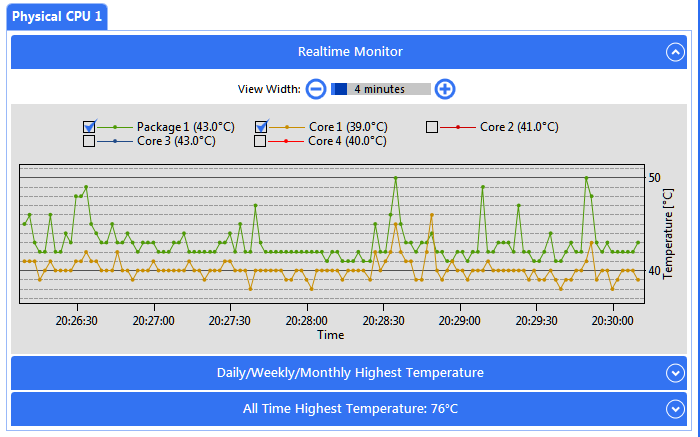 Analyze past sensor readings and upload sensor data to cloud for statistical analysis. Publish cloud analyzed data such as average temperature and mean time between failure. Log daily, weekly, and monthly extreme values. Per sensor all time highest values and related values.